For the past 10 years, I have worked alongside teachers, helping them to integrate technology into their classroom and, more recently, how to approach problem-solving through an innovative design process. I love working with teachers and find each day to be a rewarding experience. One thing I have noticed repeatedly is that teachers who reach out, seek input and are reflective in their practice are the teachers who regularly adjust what they do in order to improve the student experience. 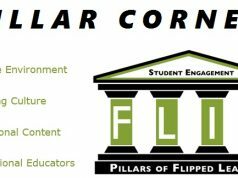 As a former board member of the Flipped Learning Network and an educator who worked to create the flipped pillars, I found that this desire to exchange ideas and receive feedback from other educators was the most consistent characteristic we saw in the hundreds of educators we talked with about the changes that were occurring in their classrooms. 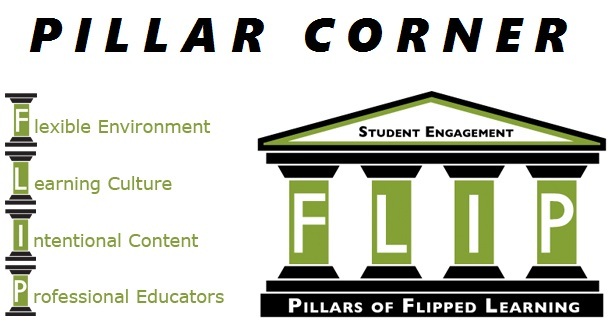 Certainly, this was something that had to be a part of the flipped learning pillars. 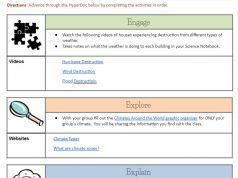 P.1 I make myself available to all students for individual, small group, and class feedback in real time as needed. ￼P.2 I conduct ongoing formative assessments during class time through observation and by recording data to inform future instruction. ￼P.3 I collaborate and reflect with other educators and take responsibility for transforming my practice. Ironically, it is the last indicator of the last pillar that is the beginning of transformation, requiring reflection and ownership for making change. Nothing so grand will ever be accomplished through top-down rules or initiatives, new technology or fancy resources. For many years now professional development for educators has included conversation around creating a Professional Learning Network (PLN), yet there are still so many teachers who are isolated and, even worse, do not see the problem with that. Isolation is not characteristic of the world we live in nor is it the type of professional learning we want to model for students. Reflect – Set aside time each day to reflect on your work. Choose a space to record your thoughts, whether in a digital format or through pen and paper, but make sure that it is something that you can look back on at a future date. Curate – Choose a system for organizing information that you collect intentionally or come across in your work. You can use your browser’s bookmarking tool or a web-based bookmarking tool (EduClipper, Pinterest, Diigo, Evernote, Instapaper). Whatever system you choose make sure it is cloud-based so that you can easily access your information from any internet-connected computer. Collaborate – Make it a goal to talk regularly with a colleague in your building – one that you trust and one that you can bounce ideas off of without fear of judgement. Sometimes it’s healthy to get the perspective of someone outside of your content area or grade level. In addition to this colleague find someone outside of your building or district that you can get ideas from, whether it is someone who shares their ideas online or someone you converse with through a social network like Twitter, Facebook or Voxer. Share – As you become more proficient in your reflection and organization of resources commit to sharing your own ideas in some way. This can be through a session at a school or district professional development day or simply sharing an idea in one of your social networks. 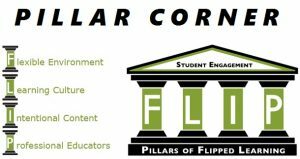 The Flipped Learning Network has created the pillars as a way to recognize elements of and help educators intentionally work towards creating a flipped learning environment. Regardless of where you begin, whether you start by using formative assessment to guide your instruction, create short content videos for your students, or rearrange your classroom space to better meet the needs of your students, none of this can be accomplished without reflecting on how these changes will impact instruction. By default, once you begin this process, you have already begun to demonstrate the intentional work and reflective qualities of the “Professional Educator.” However, it is critical that these qualities become regular practice among educators. In order to shift towards this orientation, there is an immediate need for administrators, instructional leaders and coaches to encourage collaboration and reflective practice among educators by providing them with relevant professional development and, more importantly, time to connect with one another and apply new ideas. Feel free to contact me with your questions and comments, as I always practice what I preach! Kristin Daniels is the Innovation Coordinator for Cambridge-Isanti Schools. She works with K-12 teachers in workshop, coaching and conference settings and challenges them to reexamine their role as teachers in a technology-rich, information age. 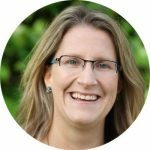 She has co-designed and implemented FlippedPD, a model of professional development that utilizes digital resources along with a job-embedded coaching model to create personalized professional development for teachers. Kristin is a former board member of the Flipped Learning Network (2011-2015).